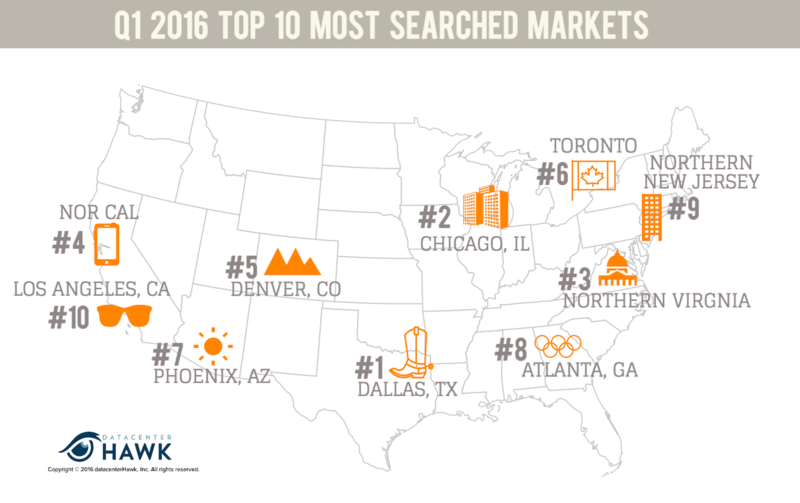 Northern Virginia leads the way with the largest sized requirements searched for Q1 2016. The area is the recipient of large data center requirements, as evidenced by the campus investments made by Digital Realty, DuPont Fabros, and Equinix in this market. 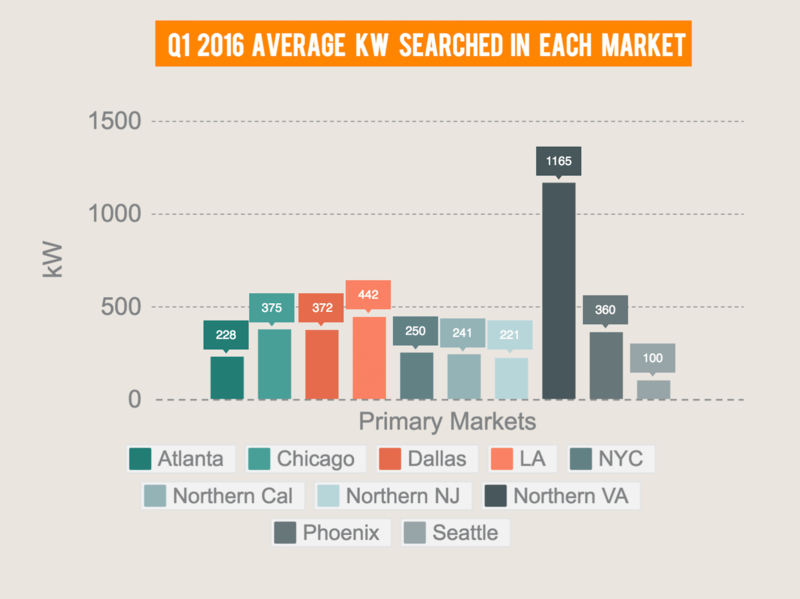 It’s interesting to see all other markets leveled out between 100 and 450 kW. A popular size range as requirements grow smaller based on cloud options. 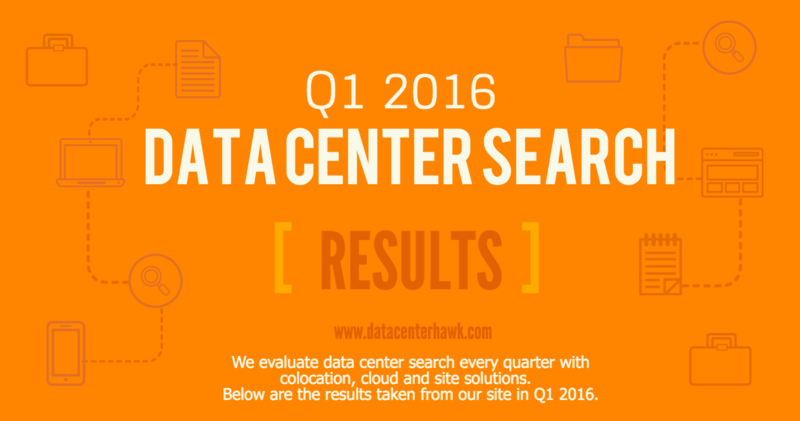 Despite cloud and colocation taking the majority of searches, some companies still are interested in owning their data centers and will search sites to solve for this. 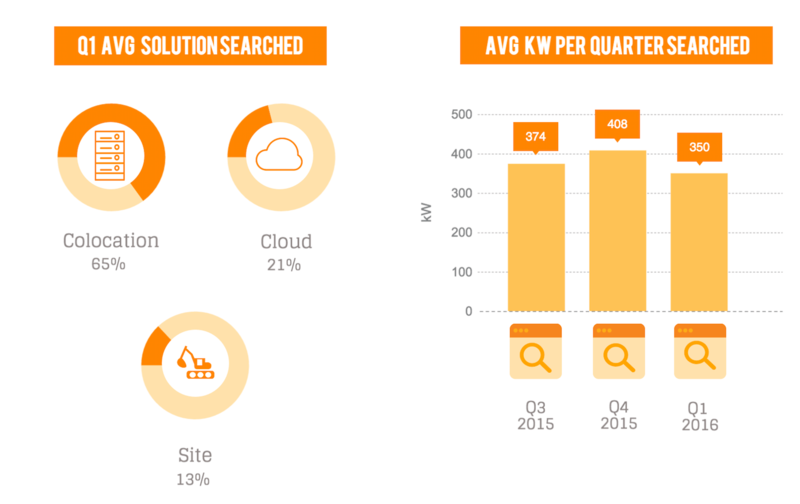 There was a slight dip in site search average. We anticipate it will get smaller over time.